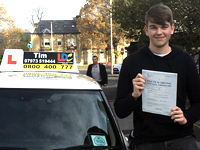 Tim was incredibly supportive and helpful and is an excellent driving instructor, who helped me to pass my driving test on the first attempt. 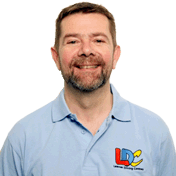 The use of the LDC videos and workbook provided to me by Tim really helped me in my progression as a learner driver. I'm a driving instructor in Mirfield, Dewsbury, Liversedge, Heckmondwike, Huddersfield, Brighouse, Birkby, Bradley, Clifton, Rastrick, Kirkheaton, Fixby, Outlane, Elland, Greetland and surrounding areas.